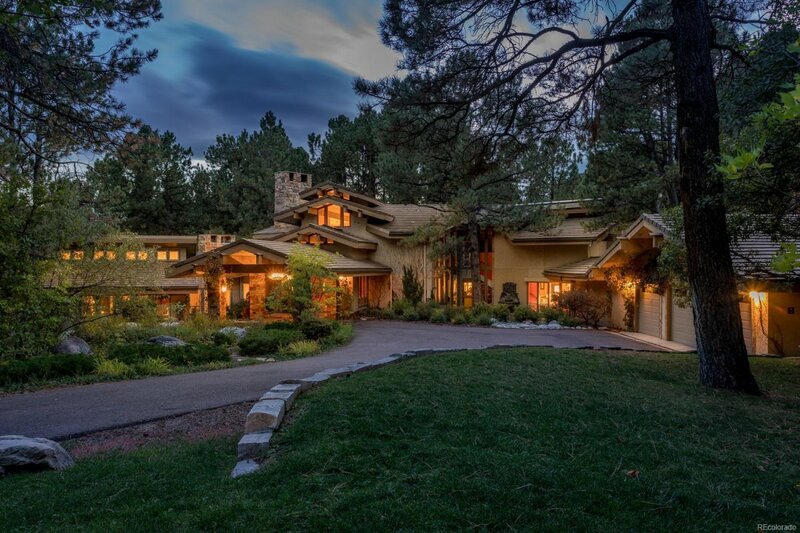 Once in a life time opportunity to own one of Castle Pines Village’s most sought after homes. Masterfully situated on a secluded 1.2 acre site, this one-of-a-kind custom home is surrounded by a tranquil paradise of majestic pine trees, manicured lawns, water features and lush landscaping. This special home is a luxurious, artistic and uniquely accented work of art and is a perfect home for both grand entertaining and daily family living. Large skylights and expansive windows flood this home with light. French doors open from all major rooms onto a variety of patios and terraces creating a melding of indoor / outdoor living. The main floor master suite is sumptuous and includes a luxurious bath as well as its own private terrace with hot tub and two wardrobe / dressing rooms with extensive built-in storage. A unique feature of this home is the studio which could function equally as well as an in-law suite, nanny's quarters or ultimate guest suite. This is truly a must see!